Congratulations to all thirty-two NRCA students in grade 1 through 8 who competed in the ACSI District Spelling Bee at Grace Christian School on Friday! It is an honor to represent our school at the bee. Seven schools competed in the bee this year. 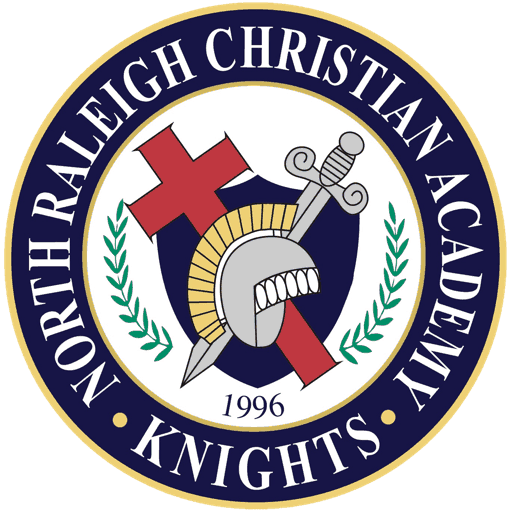 Of the 32 awards given for grades 1-8, NRCA took 12! No other school won as many. In first grade, Zoe Cullem won 1st place, Mia Ruppert 2nd, and Kyle Brown 4th. In second grade, David Squirewell won 2nd place. In third grade, Owen Keller won 1st place, Jeremiah Gayed placed 2nd, and Hannah Weitzel 4th. In fourth grade, Addison Garnett won 1st place. In fifth grade, Dorothea Carew won 4th place. In seventh grade, Donovan Dalton won 1st place and Lynn Kim won 2nd place. In eighth grade, Ben Petrella won 4th place. All 5th-8th graders who placed then went on to the 5th-8th-grade spell-down. 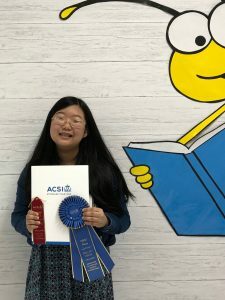 Dorothea Carew, Donovan Dalton, Lynn Kim, and Ben Petrella all competed in that spell-down to earn the opportunity to advance to the ACSI Southeast Regional Spelling Bee in Atlanta. Lynn Kim placed 1st in the final spell-down, and Donovan Dalton placed as a 2nd alternate. Lynn Kim will go on to regionals in Atlanta in March, and Donovan Dalton will get to go if called upon. Congratulations to Lynn and Donovan! Congratulations to all of our NRCA spellers! Thank you for a job well-done! Way to go, Knights!